Last year, I spoke at Casual Connect in Tel Aviv about Blue Ocean Strategy in the game space (see presentation below) and multiple people commented to me how this approach was great but too risky. The belief is that while overall Blue Ocean strategy would be the best approach, it was too risky from a career perspective to pursue. What they missed, and what I obviously failed to convey during the presentation, is that it is actually less risky to pursue a Blue Ocean strategy than a traditional strategy. The core of Blue Ocean Strategy is that rather than trying to win against entrenched competitors you find and target uncontested market space where the competition is irrelevant. Red oceans are a known market space with many competitors where you fight for market share. In red oceans, it is all about beat the competition and exploiting existing demand. Blue oceans is an unknown market with few competitors where you are creating market share. The reason many people feel that red oceans are less risky is the fact that you are competing in a known rather than unknown market space. The unknown is always scary, be it going into space or a haunted house. In many ways, it is scarier in business where people must make their own decisions rather than basing decisions on what somebody else has done successfully. People thus transfer this fear of the unknown to Blue Ocean being a riskier strategy. The reality, however, is that it is riskier to follow a Red Ocean strategy of trying to “win” against your competitors. The Blue Ocean Institute at Insead can point you to multiple academic studies that show Blue Ocean strategy has a higher ROI than traditional Red Ocean competition. While you can be successful following a Red Ocean strategy (there are myriad examples of companies that have dominated their space by competing better than their peers, such as Disney, Exxon and GE), overall the results from pursuing a Blue Ocean strategy are likely to surpass the results of competing in a Red Ocean. Bringing it back to the risk assessment, your personal professional position is more secure the better your results. At the end of the day, the leaders who deliver the most appealing P&L are the ones who survive and advance (had to drop in that phrase given the upcoming NCAA Tournament). Some might argue these statistics are a long term play and in the short term it is still riskier to try something new than just tried to beat your competitors on the battlefield. The long term results play out over time but a Blue Ocean strategy creates the opportunity for a quick debacle, if you launch a completely new approach and it shows no traction. Again, the reality does not justify the fears. It is not that a Blue Ocean strategy has no risks, since it is a new approach there may not be a market for it, but Red Ocean strategies are also incredibly risky. Competitors are smart and always improving. Copying their strategies will always leave you behind them and the gap between you and your competitors is likely to widen. 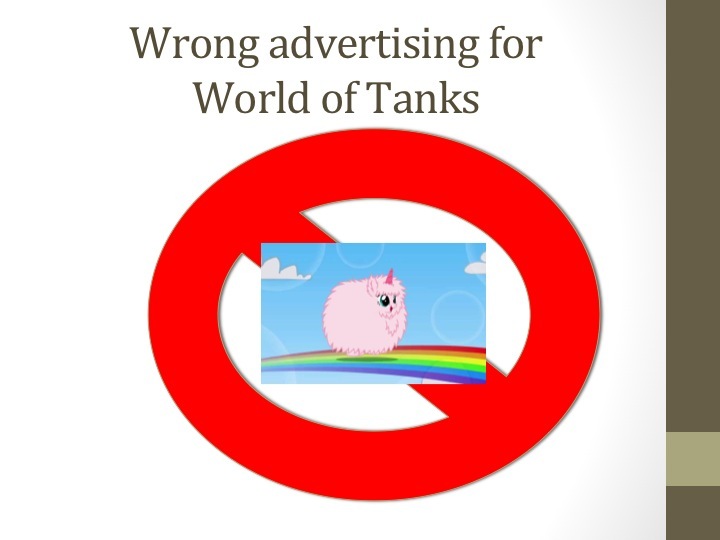 Zynga provides a great example of both Blue Ocean success and Red Ocean failure. When Zynga first launched in 2007, it was a Blue Ocean company. Rather than competing the game space by creating more beautiful games or spending more on advertising, they brought a new business model to the United States, free-to-play gaming (they may not have been the first but they were among the first, so let’s not get hung up on this). Moreover, rather than compete in traditional channels with other game companies, i.e. Circuit City, Egghead, Best Buy, etc., they focused on Facebook as their primary channel. The result was a company that at one point had a valuation over $10 billion and saw many leaders enjoy very appealing compensation. In the last few years, Zynga’s strategy has apparently evolved into winning against other social game companies. They would see successful games and fast follow. Without going into too much detail, in the time I was there I saw the leadership of almost every game team (outside of our slots products) turn over at an incredible pace, with some game teams going through 2-4 General Managers in less than two years. If you compare the job security (and thus amount of risk faced) between Zynga in the Blue Ocean days and the Red Ocean days, the Blue Ocean was clearly a less risky period. The bottom line is that business is risky. Yes, Blue Ocean strategy may fail and you can lose your job. Red Ocean strategy, however, also can fail and leave you in an equally precarious situation. Given the evidence that Blue Ocean strategy yields superior results to Red Ocean and results drive your personal professional success, Blue Ocean is actually the less risky strategy to pursue. While most agree that a Blue Ocean strategy has the highest long-term returns, many fear it is too risky to pursue from a personal career perspective. The reality is that it is actually the less risky approach, as the underlying odds favor success via a Blue Ocean approach. Given the challenges of trying to win in a competitive industry, finding an uncontested market and growing it is a less risky approach. We just launched Hit It Rich! We just launched our social casino game, Hit It Rich, on Facebook. Please take a look and let me know what you think. Author Lloyd MelnickPosted on August 22, 2013 August 22, 2013 Categories UncategorizedTags HitItRich, zyngaLeave a comment on We just launched Hit It Rich! I have been reluctant to join the bandwagon of people declaring Facebook dead, either overall or as a social gaming platform, but I have gotten to the point where I have lost confidence in Facebook. It has been fashionable since Facebook’s IPO to say the platform was in trouble because of the shift to mobile. In the game space, the anti-Facebook crowd got started even earlier, suggesting the only wise course for social game companies was to develop for mobile platforms instead of Facebook. I was reluctant to join this chorus, given the incredible user numbers Facebook has and the revenue that some games were still generating on Facebook (which dwarfed comparable mobile games). However, I have been rethinking my position. 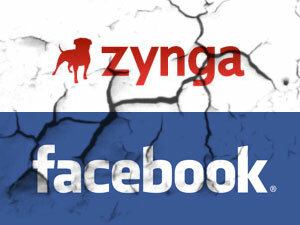 The big news in the social gaming space this week is that Facebook and Zynga have significantly changed their relationship. Two years ago, Zynga entered into a “special” agreement with Facebook that gave both companies exclusive privileges in exchange for special treatment. While Zynga’s stock has taken a much bigger hit than Facebook’s after this announcement, this new relationship will impact the changing social game ecosystem and the risks Facebook faces.